Transform your home interior with beautiful carpets from Vince Mantle Flooring that is perfect for you and your home. 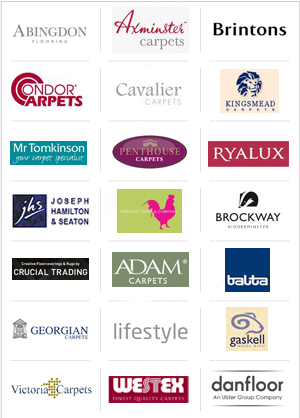 We have a wide range of contemporary to traditional carpets including underlay and rugs as well as vinyl, laminate and wood laminate flooring all at affordable prices. Whether you are looking to freshen up your kitchen or make your living room cosy, we’ll be there for you through every step of the process. We can also visit your home to take measurements as well as bring samples. A well made fitted carpet offers the luxury feel of a natural textile, attractive to look at and soft to the touch. A safe and friendly environment for adults and children, which is both slip resistant and comfortable to walk on. It maintains the warmth of your home in winter, whilst at the same time reducing unwanted noise around your house. As a flooring material, a modern carpet offers an unparalleled choice of fashionable colour and texture, and if treated sensibly will stay looking attractive and give you years of service. Carpets can add the perfect touch of colour and class that embraces the decor of a room. The advantage of carpet flooring is the wide variety of colourful pile available such as wool and twist. Carpet fabrics can be durable, pet friendly and beautiful in appearance and texture. We personalise our service by eliminating trips to numerous showrooms by providing samples at home in the natural interior lighting of your rooms. The ease of having in home previews allows you to select and arrange for installation all in one visit.